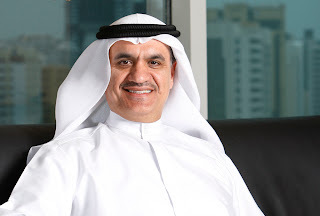 Chief Executive Officer, Etisalat Group, Ahmad Abdulkarim Julfar has been elected to the GSM Association (GSMA) Board. Mr. Julfar joins 24 other global CEOs and senior executives reflecting the largest operator groups as well as smaller independent operators with global representation. GSMA represents the interests of mobile operators worldwide, spanning more than 220 countries and uniting nearly 800 of the world's mobile operators with more than 230 companies in the broader mobile ecosystem, including handset makers, software companies, equipment providers and Internet companies, as well as organisations in industry sectors such as financial services, healthcare, media, transport and utilities. The GSMA also produces industry-leading events such as the Mobile World Congress and Mobile Asia Expo. Mr. Julfar will work with the GSMA Board and the GSMA to help shape the future of mobile communications and develop a new future for the individuals, organizations and governments throughout the world. Mr. Julfar will serve on the GSMA Board for a two-year term from January 2013 through December 2014. “Group CEO Etisalat, Ahmad Abdulkarim Julfar’s representation on the GSMA Board is a source of great pride for the whole Etisalat family”, said President & CEO PTCL. “This success is a testament to Mr. Julfar’s dynamic role as the leader of one of most vibrant and fastest growing telecommunications companies in the world”, he added further. As Group CEO of Etisalat, Mr. Julfar is driving Etisalat to have a direct impact on the social and economic growth of the 18 international markets it operates in. His role includes the delivery of the Group’s commercial, technological, financial, business development and overall organizational goals as Etisalat strives to become one of the world's top telecommunications companies. "It's a pleasure to welcome Mr. Julfar to the GSMA Board, and we are all looking forward to working with Etisalat Group on the GSMA's efforts to advance the strategic priorities of the operator community," said Franco Bernabe, Chairman of the GSMA Board and Chairman and Chief Executive Officer, Telecom Italia Group. Etisalat operates across Asia, the Middle East and Africa, catering to consumers, businesses, international telecommunication companies, ISPs, content providers and mobile operators. Etisalat has been at the forefront of the Middle East's technological revolution and for close to forty years, the company has developed and grown to become one of the world's leading telecommunications companies.